A few years back, before my grandmother passed away, she gave me one of my most prized possessions–a 1946 copy of the Toll House Tried and True Recipes (signed by the author Ruth Wakefield herself!) And just in case anyone needs a history lesson, Ruth Wakefield invented the chocolate chip cookie! She's practically my hero (and probably yours now, too.) I'd set the book aside until we moved a few months ago. Now it sits prominently on my bookshelf, just waiting to be used. 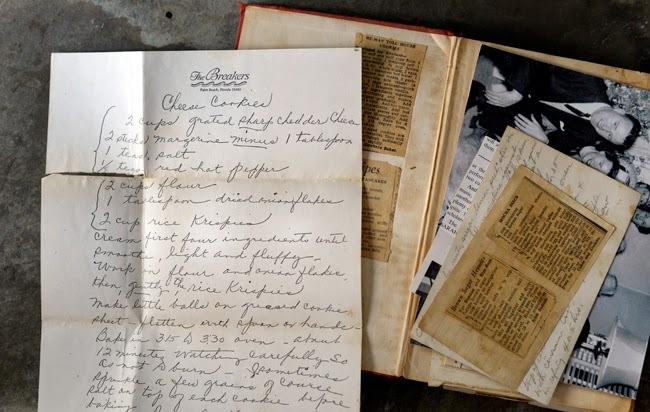 Recently I decided to flip through the pages and, to my surprise, an assortment of newspaper clippings, photographs and several folded up recipes jotted down on note paper fell to the floor. A few recipes made me laugh with curiosity. Meatball pancakes or sour cream pie, anyone? 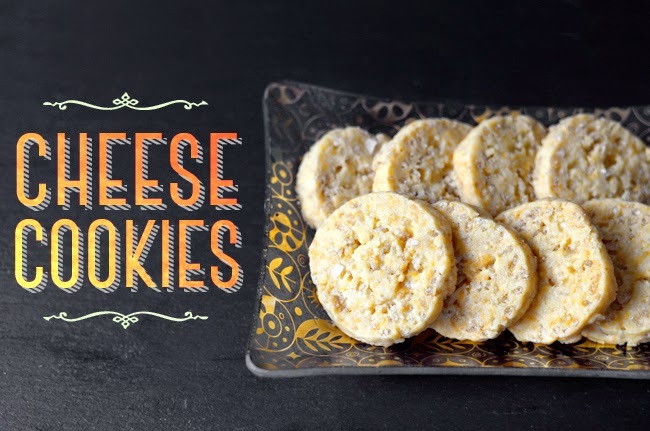 I did, however, stumble across one recipe that I couldn't wait to try…cheese cookies. Now, a savory cookie may sound like a strange concept, but these are delicious and unlike anything I've ever had. It was more than just the cheese that drew me in, the recipe was handwritten on a piece of stationary from the super luxe Breakers Hotel in Palm Beach. So at some point between a fabulous lunch and lounging by the crystal blue waters of the Atlantic, my grandmother decided to jot down this recipe. One bite of these and I instantly felt like I was at a dinner party hosted by my grandmother. Is it possible for a cookie to taste retro? 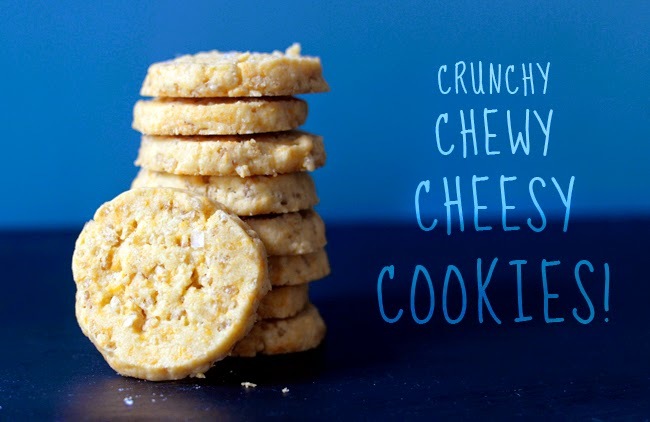 (and I don't mean stale) There are so many great things about this little cookie, but my favorite is that the crunch comes from Rice Krispies. I had to make a few tweaks here-and-there, but overall I'd say this recipe is a keeper. 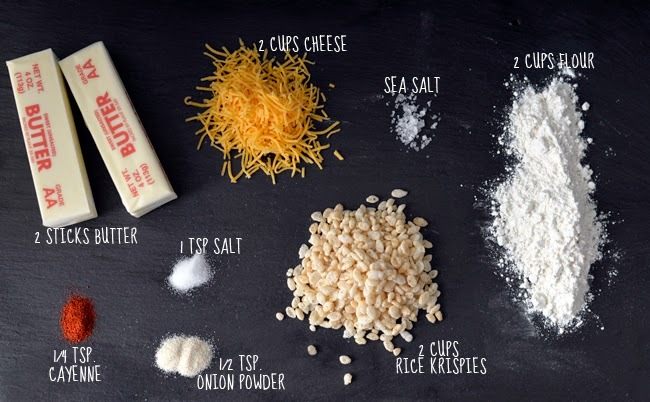 You could even experiment with cheeses. The recipe calls for sharp cheddar, but next time I plan to add a little Monterey Jack to the mix. 1. 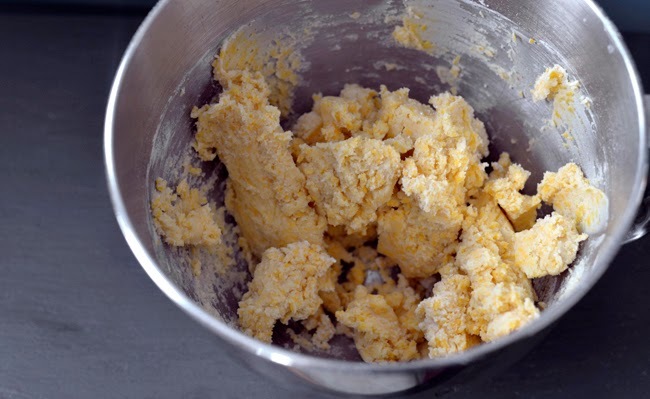 Cream the butter until pale, then add in the cheese, salt, cayenne and onion powder, mixing until light and fluffy. 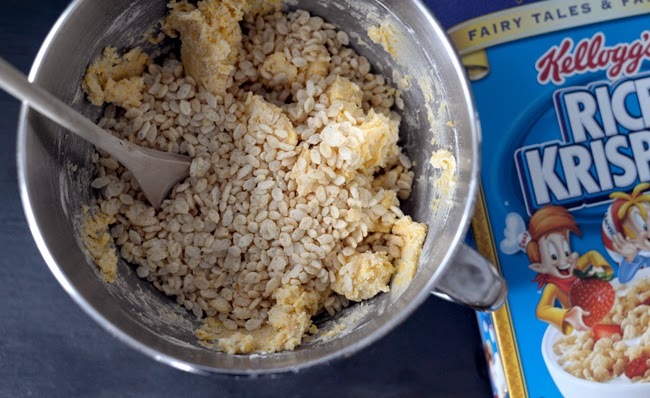 Work in the flour, then gently stir in the Rice Krispies until dough is fully mixed. 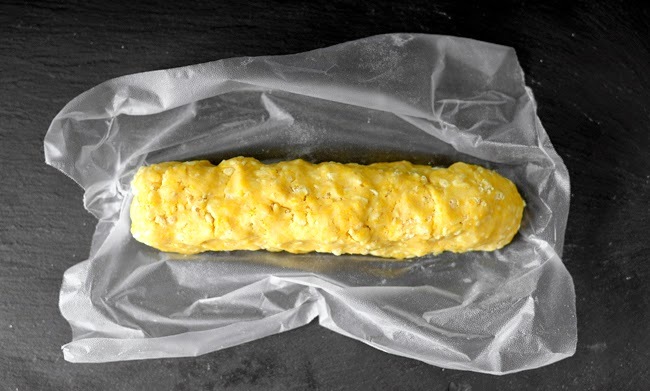 Create a log with the dough, wrap in plastic wrap and chill for 10 minutes. 2. Preheat the oven to 350 degrees and line two baking sheets with liners or parchment paper. Remove the log from the fridge and slice into 1/4" thick rounds. 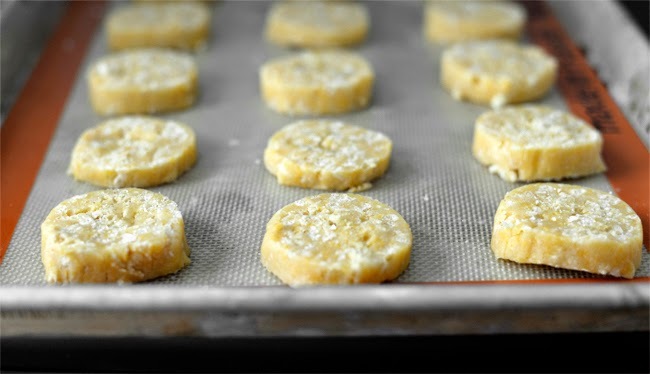 Place rounds 2 inches apart on the baking sheets, then sprinkle with a little coarse sea salt. Bake for 20 minutes, or until the cookies turn golden.